Welcome to Foam Applicators, Inc. We have been spraying Quality Polyurethane Foam Roofing, Insulation, and Specialty Coatings for over 25 years. Located near Charlotte, NC. We currently service NC and SC. We specialize in old foam roof retofit, commercial flat roofs, tanks, and metal building interiors. 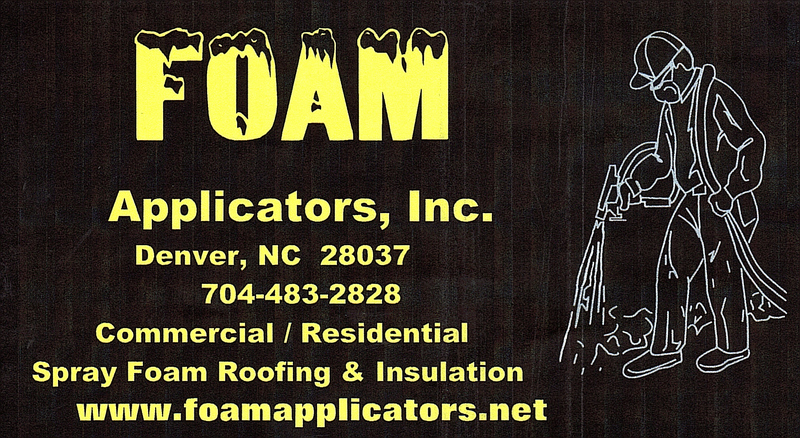 Foam Applicators, Inc. specializes in sprayed closed cell polyurethane foam insulation. We stand behind our work and take pride in getting the job done right the first time. No job is too big or too small. Foam Applicators, Inc. will spray any specified brand of polyurethane foam or specialty coatings.